This is the kind of story that makes me happy. That shows that change is possible! While there is an increasing amount of positive stories about veganism in the media, most of those reports are about the growing number of vegans, vegan celebrities, or the emerging offer of vegan products in shops. So mainly about the consumption side of the story. But the ultimate goal is the abolishment of the use of animals, for food, clothing, entertainment and other purposes. Circussen without animals, food production without the exploitation of animals. It’s not just about getting consumers to choose vegan options, but about getting farmers to practice veganic agriculture. So their company makes the transition to veganic farming (without the use of animals, and also without animal products such as manure). So that no animals are used and exploited. The story of Swedish farmer Gustaf Söderfeldt is a great example! 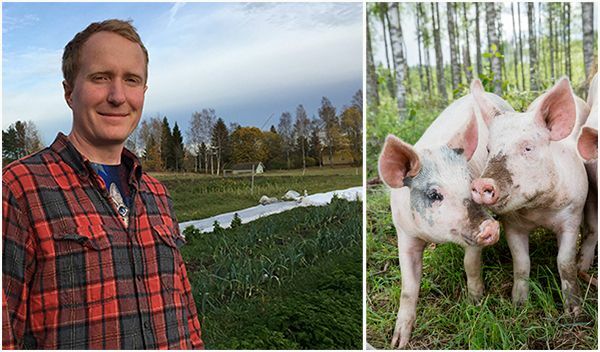 Gustaf and his partner Caroline wanted to get away from the hustle and bustle of the city, and settled on the countryside, where they started a small scale pig farm. Gustaf found the way that animals were treated in industrial farming horrible and wanted to deal with things differently: on a smaller scale, with respect for the animals, and offering them a ‘good’ life and ‘animal friendly’ slaughter. The number of customers interested in his ‘humanely produced meat’ steadily grew, and his bussiness supplied special shops and restaurants. The company grew, but the more pigs he bred, the more he found himself doing it for the money. It started to bother his conscience. The only way I could continue in my profession was to hide the truth, and my life as a pig farmer and meat retailer felt less honest with every day. “Most of our customers bought meat from us to silence their own consciences. People don’t want to admit to themselves that they’re supporting an industry that treats animals horribly. That’s why they buy so-called “humane meat”: that way, it’s easier to feel better about eating other meat, too. He and his wife initially heard about veganism through videos on youtube, and then realised there is no such thig as ‘humane meat’. About four years ago, they made the switch, realising that vegans want the same thing: for animals to have a good life! That was what had made him start a pig farm in the first place. But vegans had gone one step further: if you really care about animals, you shouldn’t breed them at all! Gustaf used to think that humans needed to eat animals to be healthy, but also learned that that is not true. 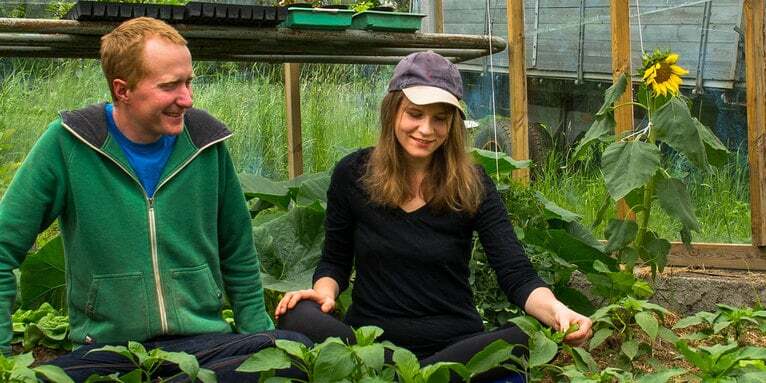 He and Caroline became vegan and stopped raising animals and switched to cultivating vegetables, without the use of animal manure, blood or bones, or any other animal inputs. “There’s nothing fun about raising animals to kill them – even the most ardent meat farmer would agree. You do it because you think you have to, but inside, you feel awful. You learn to switch off your emotions. The transition of the farm was not easy, and they lost a lot of customers. But four years after the switch, it is now lucrative. They grown tomatoes, potatoes, beans, peas, carrots, lettuces, onions, cabbage, kale, broccoli, flowers, and much more, all of which are sold at numerous farmers’ markets and via subscriptions. 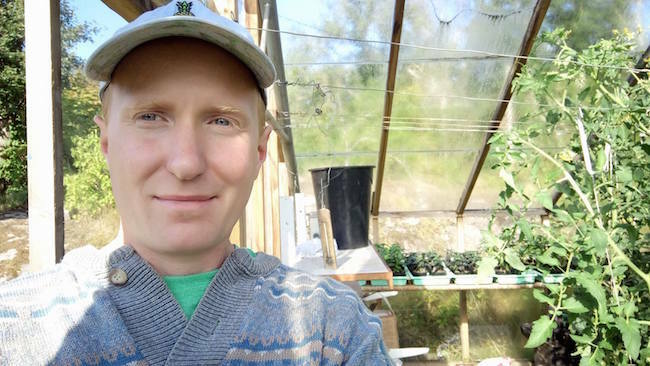 Gustaf is convinced: Veganism is the future of farming: It is kinder, healthier, more efficient, less wasteful, and more climate-friendly. And we can only second that! Hopefully his story can be inspiring for many famers around the world! Opinion piece Gustaf Söderfeldt in Swedish newspaper Aftonbladet: Jag gick från att vara grisbonde – till vegan, November 1, 2017. Gustaf Söderfeldt, Peta Blog, Farmer Goes Vegan: ‘I Made the Change Because I Didn’t Want to Keep Slaughtering Pigs’, November 1, 2017. Gustaf Söderfeldt, Free from Harm Blog: I Became a ‘Humane Farmer’ to Help Animals; I Should Have Gone Vegan, Augustus 28, 2017. 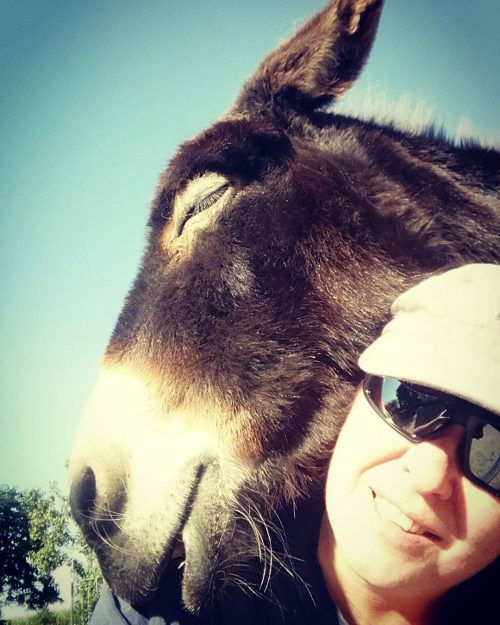 Farmer switches to veganic farming and gives cow to sanctuary. Posted earlier on my other blog Graswortels, in Dutch: Inspirerend. Varkensboer wordt veganist en kweekt nu groenten.